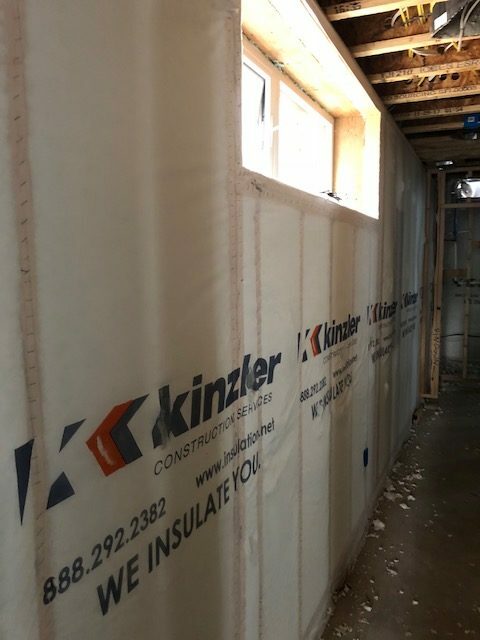 The benefits of a Blown-In-Blanket insulation system installed by your local experts at Kinzler Construction Services make it the ideal choice for insulating residential homes, commercial or industrial buildings. BIBS insulation is an environmentally sustainable, versatile, and dependable way to insulate your home or building that involves blowing specially manufactured fiberglass blowing wool into cavities behind netting. This form of insulation is thermally efficient and cost-effective. When installed at the recommended density levels, this solution provides you with an R-15 in 2” x 4” construction and R-23 in 2” x 6” construction. BIBS won’t settle or separate, meaning that it will continue to maintain its thermal efficiency for the life of your home. With its ability to form to small gaps and oddly sized obstructions, you’ll experience outstanding thermal performance and excellent sound control. This solution is ideal for new construction, remodeling projects, attics, sidewalls, floors, metal framing, and sound control. 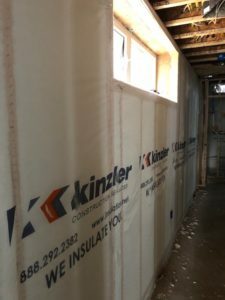 BUILDING SCIENCE: Kinzler Construction Services Building Science Specialist Bryan Bengston talks about advantages of Blown-In-Blanket insulation and gives an overview of how our team properly installs and tests density in BIBS wall & mid-floor assemblies. Kinzler Construction Services delivers an industry-leading customer experience. Contact us today at 888-292-2382 to see if blown-in-blanket is the right product for your project. See why a northern Minnesota homeowner chose blown-in-blanket insulation for their lake home.